Most importantly, “Driving For Freedom” will offer immediate and attainable solutions to foreign oil dependency. By dissecting extensively detailed choices—from shopping locally and voting for public officials, to offshore drilling in the Gulf of Mexico— “Driving For Freedom” will provide American consumers with the tools needed to make informed decisions when addressing oil dependency. Quantifying oil consumption on both personal and national levels will give consumers hard evidence showing where simple changes can make a difference. The film’s pace will be energetic and exciting, using content and imagery relevant to modern audiences. Visually, Driving For Freedom will traverse a long-distance journey which begins underground, literally, in oil-rich countries, and ends in the combustion chambers of U.S. automobiles and tractor-trailers. From the ground to the gas tank, “Driving for Freedom” will show the history of oil production and consumption: where oil comes from, and how we use it. At each turning point, the case for reducing the United States’ oil dependency through conservation and alternatives will be emphasized. The United States will need to work in unison in order to obtain energy independence. 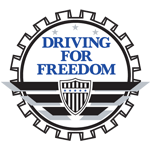 “Driving For Freedom” is happy to contribute to this effort.